Eczema is an inflammatory skin disease that results in itchy, dry, scaly skin. This chronic skin condition often appears on the surface of the skin in red patches, scaly patches or crusted appearing sections of skin. 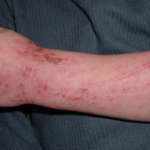 Eczema is also related to other health issues such as allergies and asthma. Although eczema is usually heredity, other factors can cause the inflammation to flare up. This can affect most age groups although atopic dermatitis is more common in younger patients during childhood. 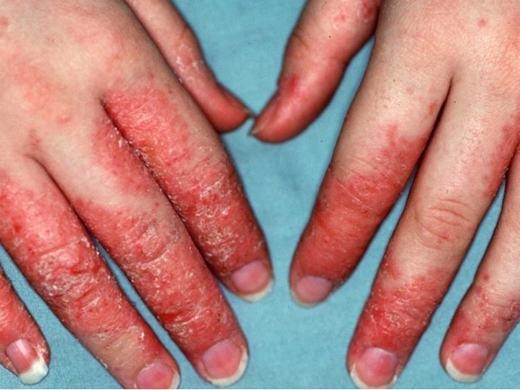 What is the cause of Eczema/Atopic Dermatitis? 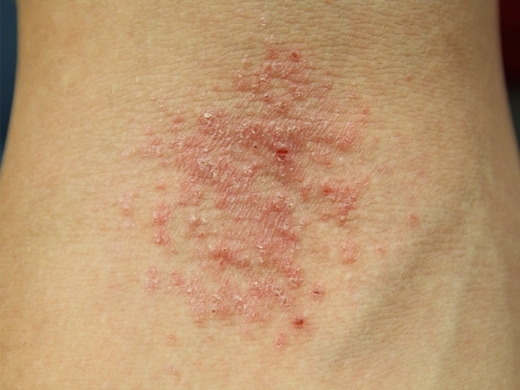 There are many causes of atopic dermatitis. 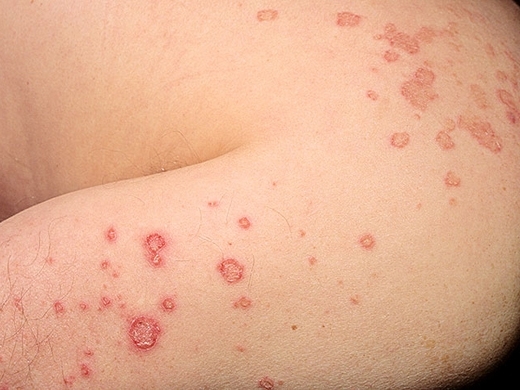 One of the strongest risk factors of developing atopic dermatitis is if there is a family history of atopic dermatitis. This is actually a more common skin disease among higher social status groups, and often most prevalent in children. Usually during colder winter months is when people with this condition notice the most problems. This condition impacts the protein in between the cells that make up the top layer of epidermis that is meant to act like a bonding agent. Basically, the skin can become weaker and allow irritants to cause a reaction and inflammation. If left untreated, eczema may become more chronic and result in thicker, tougher patches of skin where the skin is also elevated and discolored. At this time, there is no cure for eczema but it is treatable. 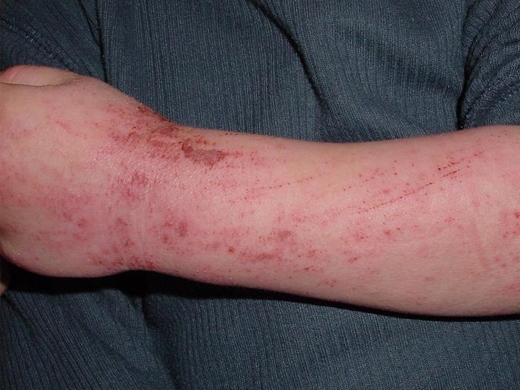 Most patients may notice periods where the eczema is lessened but it cannot be fully cured. Issues on the hands are the most common problem areas and this is often enhanced in any profession or situations where the skin is repeatedly exposed to wet or damp conditions. Those who wash their hands often or work in a field such as food preparation and must get their hands wet repeatedly are bound to notice more recurrences. Also, those who live in climates with more severe periods of cold weather or longer periods of winter may also notice worse conditions. The most important first step is to let one our dermatologists evaluate your skin condition to determine if you have eczema/Atopic Dermatitis; from there, the treatment can begin. Contact us now to set up your consultation with one of our award-winning, top-ranking dermatologists.